At this point, reservations are filled for 2019 and 2020 but are open for this trip in 2021. 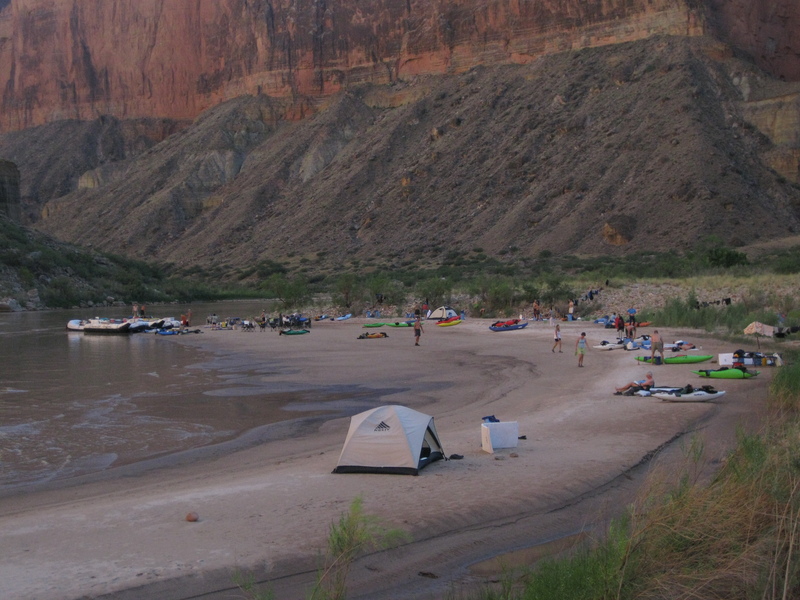 We require a minimum $800 deposit/person to reserve your space on our Grand Canyon expedition. This deposit is non-refundable as are any additional payments towards your trip. We highly encourage you to purchase trip insurance to cover in the event that you are unable to make the trip. • Initial $800 deposit is due to hold reserved spot for the trip and is fully non-refundable. • Final Balance for 2020 is due by December 28th, 2019. No refunds are available, although reservation can be transferred to other Current Adventures approved participants with prior approval from Current Adventures and payment of a $100 administrative service fee. $300.00 Discount for participants who traveled with Current Adventures or on another Grand Canyon trip with AZRA in in the three years prior to this trip date. Deposits are non-refundable, and will hold your space on this trip until such time as final payments are due ( December 28th, 2019 for 2020 trip). After that date, (unless alternate arrangements are agreed upon by Current Adventures) non-receipt of the remaining balance of your trip will be grounds for your space being made available to others, and the forfeiture of your original deposit and any payments made to that point. Due to the charter nature and popularity of this trip we cannot provide refunds of deposits or payments once they are made, since we pass them on to our Grand Canyon partner as non-refundable payments. Deposits can be accepted in the form of cash, wire transfer or check or money order made out to Current Adventures and mailed to us here at P.O. Box 828, Lotus, CA 95651. For additional and final payments, we can no longer accept credit card payments as our partner AZRA no longer accepts them. If you would like to pay through a wire transfer, please contact us for the info you will need, per our Bank of America branch. AzRA provides transportation to Lee’s Ferry from Flagstaff and back from Diamond Creek to Flagstaff. Transportation is included in the trip price along with all food and on water services from lunch on day one through lunch on day 14 during the trip dates. You are responsible for your own transportation to Flagstaff, Arizona and your accommodations while in Flagstaff before and after the trip. Room blocks at discounted rates are held at a Flagstaff hotel for trip participants, but are limited in number and you must make the reservations yourself. (hotel info will be provided upon receipt of deposit). 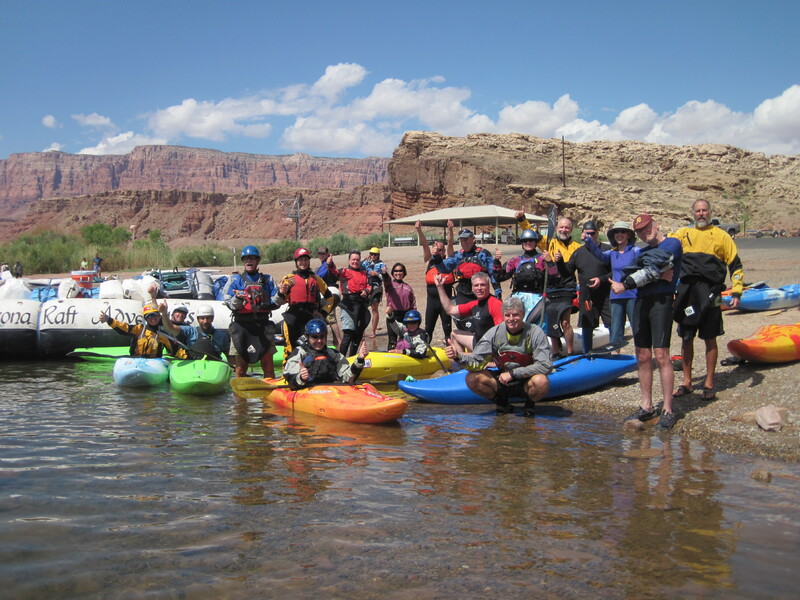 • Current Adventures provides one-two on water kayak guides ( depending on number of kayaker participants), as well as pre-trip support and information. 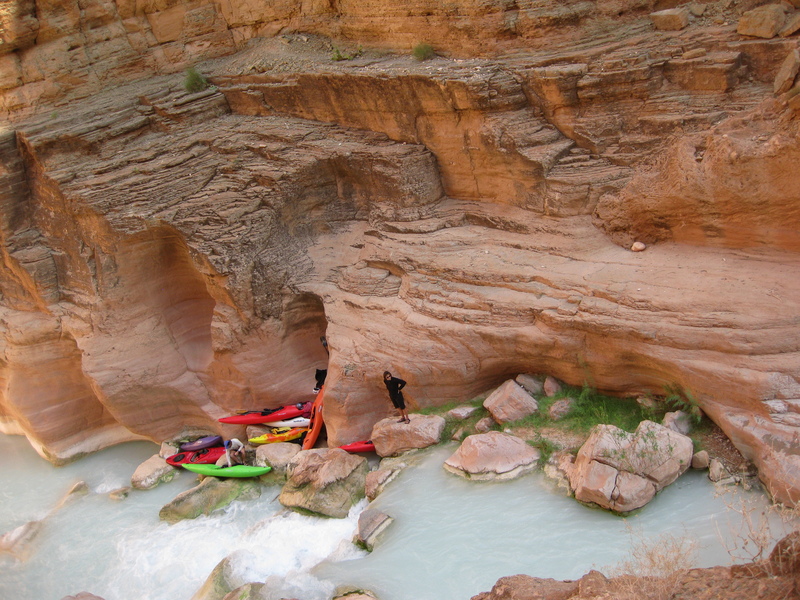 • Current Adventures can provide you with kayak and equipment rentals and/or sales of new equipment you might need delivered to you or the trip departure warehouse prior to the trip start date. Kayak rentals are typically $200 delivered. Equipment rentals are an additional cost based upon items selected and can include paddles, skirts, US Coast Guard approved PFDs, drysuits, helmets, etc. • Additional trip info or responses to specific questions can be provided upon request, and will be sent to you as a matter of course upon receipt of your deposit. Thanks again for your continued interest in our trips and we look forward to spending even more time in this magical hideaway from the industrialized world. To me it is a window into what the world was like before we poured concrete over most of it and “connected everyone and everything via cell phones and technology”. Being able to share it with friends and people who can appreciate the majesty of it all is the coolest thing I can imagine! Kayaking Adventure with Current Adventures!